Art Morse Auto Repair has proudly offered car repair in Battle Ground and to the surrounding areas since 1980. In that time, we have kept the highest standard of integrity. Continually upgrading our technology and training, our carefully selected master ASE certified technicians have a full range of the latest diagnostic resources available. 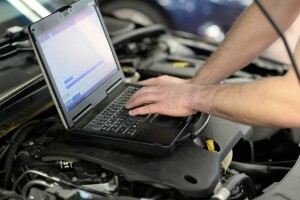 We offer the most up-to-date technology and the best technicians to read the diagnostics and handle your car repair. That is why we stand out as a top car repair service in Battle Ground. Our services include repairs on the latest hybrid vehicles as well as older cars and trucks without an on-board computer system, and everything in between. We offer the same 2 year/25,000 mile warranty for covered parts and labor all makes and models. We are an AAA approved facility offering NAPA AutoCare Nationwide Limited Warranties. We also participate in a Reward Loyalty Club Card offering 5% back on all auto repairs! As an locally-owned, independent auto repair company, our expertise is not limited to any one manufacturer. We work on European and other foreign cars as well as domestic models, fleet vans, and other services vehicles. We offer you a thorough report on what we find after an inspection of your vehicle. Our technicians wait for your go-ahead to do any car repair services. Feel free to ask us any questions you have, we want you to feel completely comfortable understanding the repair your car needs. Call today to schedule your car repair in Battle Ground or just come by and let us take a look. Find out why we are so highly rated with online customer review sites!